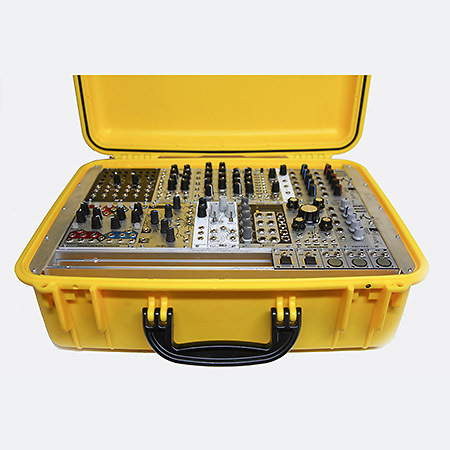 Introducing our original 7U Waterproof Eurorack case! Keep your Eurorack modules safe while traveling and in the great outdoors. 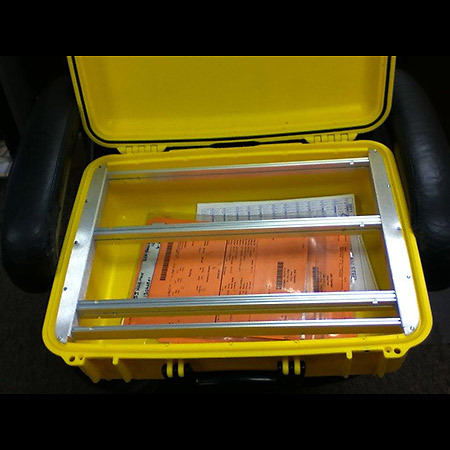 We take a very rugged SeaHorse band case (similar to Pelican) and fit it with 6 84HP vector rails and fill them with 20 square rail nuts per row (2.5mm), giving you three rows to fill with your modules. Available with easy-to-install Panel Kits supplied with o-rings and screws. 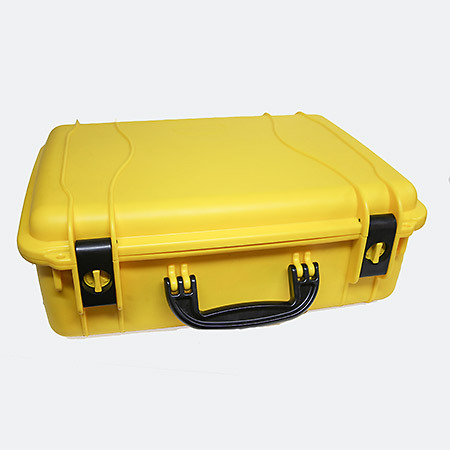 Available Colors: Black, Gunmetal Gray, Safety Yellow (OSHA) and Intl. Orange (SOLAS). Optional padded detachable shoulder strap. Hello, does the top of the case come off or is it always on but just opens up to 90 degrees? thanks! Hello, the top does come off! There are grenade pins that you can pull out.